Japan Low Level Bed is a perfect fit for an Asian style bedroom. Use in a minimalist environment and while it will not only look fantastic it will also give comfortable restorative sleep. 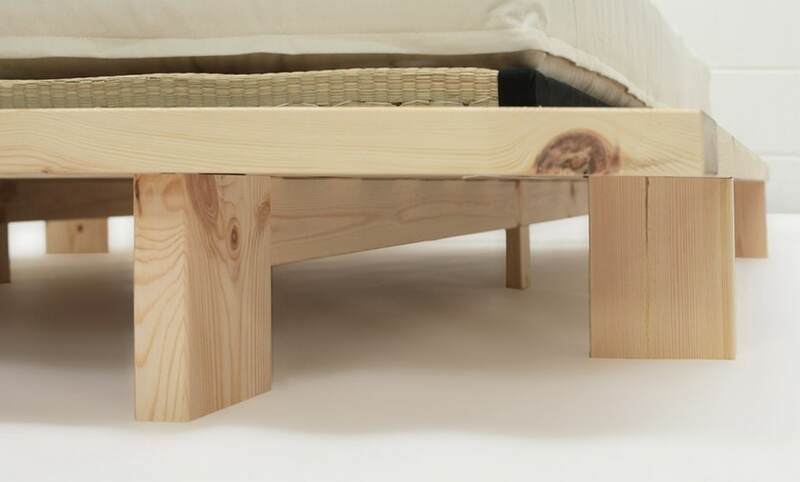 Made in Denmark by Karup Design, Japan beds are easy to assemble with clear instructions. Another feature is that they are suitable for spaces that are difficult to access. For instance a converted space such as an attic, loft or a mezzanines, areas with low ceilings. 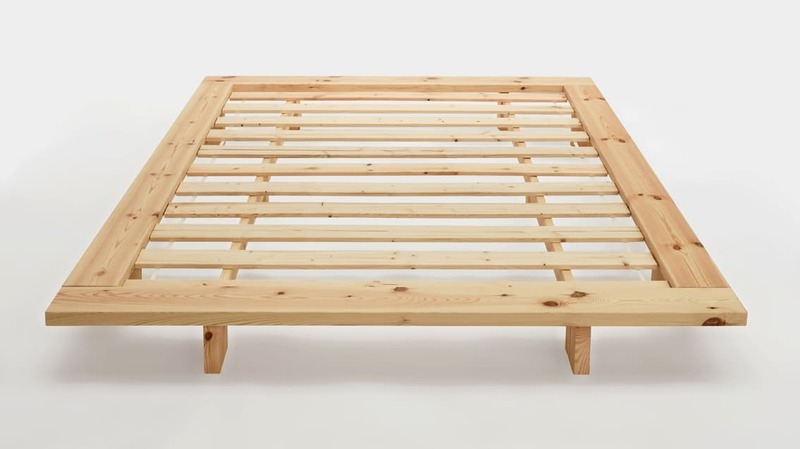 These ready to assemble beds are straightforward and easy to put anywhere in your home, even when there’s tricky manoeuvres. For instance getting up a spiral staircase or taking up a drop down ladder from a loft is no bother. Please check out the video, you’ll see it’s an easy process. If there’s any doubt about access, at the end of the day you can always remove all the packaging. As a result you can take the pieces up one at a time. The drop down menus below show sizes to choose from and options for the finish of the timber. Mention should be made of the Unfinished which is nice to handle and has smooth edges. Consequently when left in this natural state the wood will develop a patina or character of its own, over time. 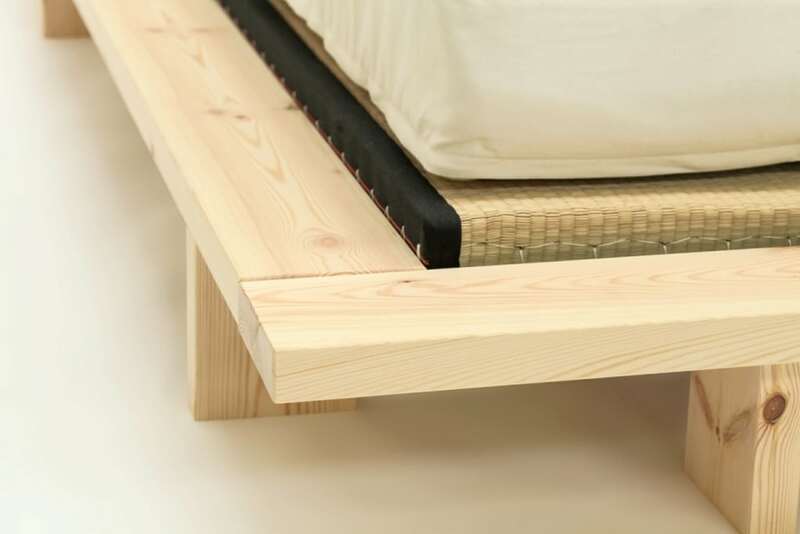 The Japan Low Level Bed uses traditional European roll up slats. Furthermore to develop the Asian style you can add Tatami Mats and a Futon Mattress. 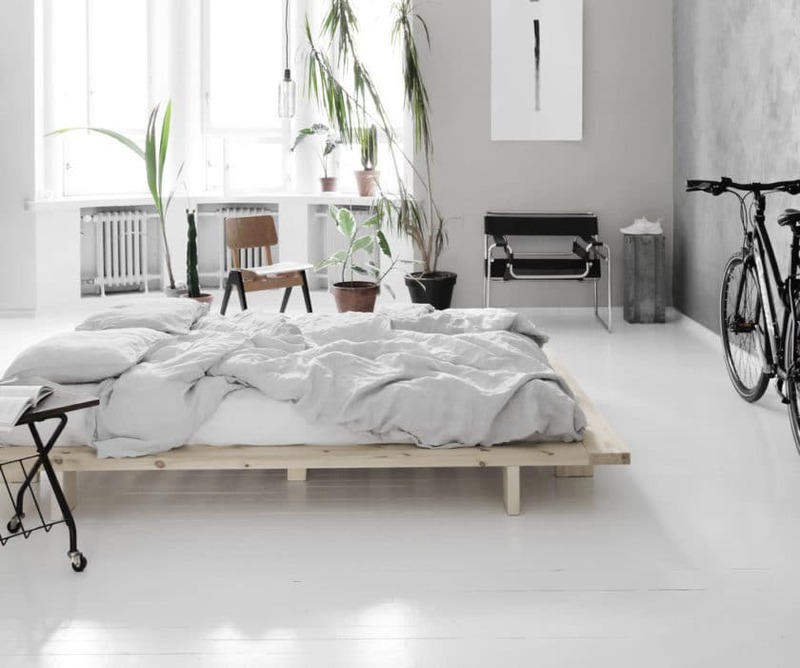 Also, a Futon Mattress alone will fit in the “well” of the bed frame. IMPORTANT Japan Low Level Bed info. The mattress size length needed for the Japan bed is 200 cm. If you buy a futon mattress from futonsonline.co.uk it will fit properly. If using a different mattress company please ensure you get a 200 cm length to get the same result. 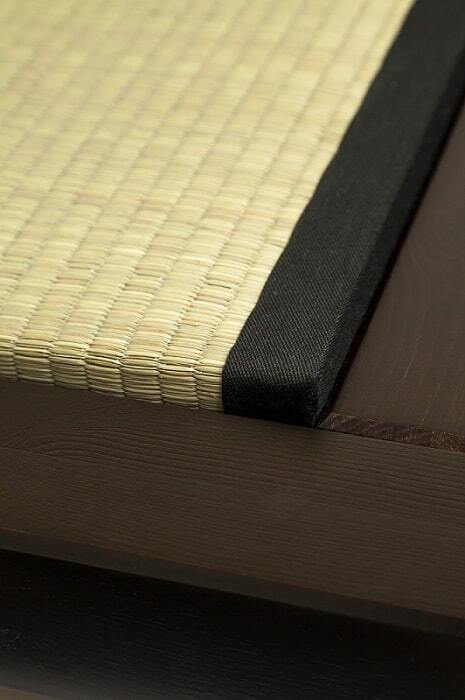 The Japan Bed is paired with our thick TwinLoft futon mattress. or whatever your mattress preference might be, various options are shown in the drop down menu below. Any mattress you choose is hand finished and made in the UK. Furthermore is available in a various colours and differing types of fabric. Explore the tabs above as part of your quest for BETTER SLEEP.. Bed Height (sleeping):19 cm to top of frame/35 cm to top of mattress (approx). Bed Height (sleeping): 19 cm to top of frame /35 cm to top of mattress (approx).